Why Choose Fast Forward Academy? We've Helped Thousands Pass. We Can Help You Too. Easier To Learn. Easier To Succeed. The system of support with FFA is by and far, head and shoulders, above any other system that I have been experienced with. 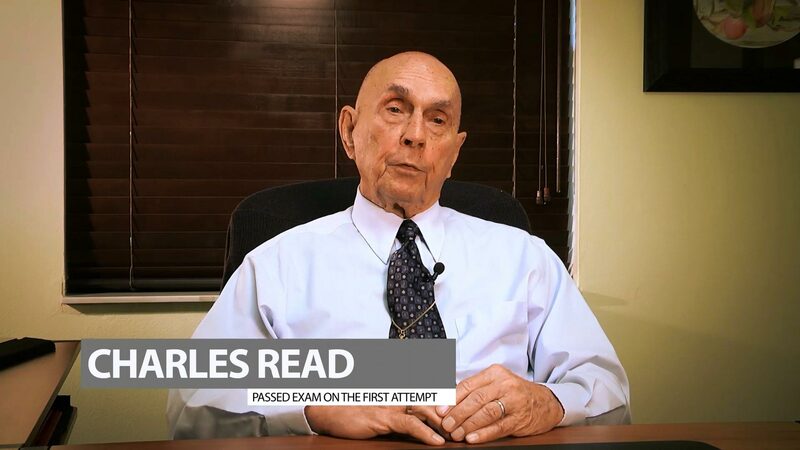 I have passed all 3 of the required parts of the IRS Enrolled Agent exam. Was very pleased with Fast Forward Academy's textbooks. I passed each part on the first try for each. Thank you for a very fine product! Like the FF concept, like the platform, impressed with the service. Thank you for providing this software and value-added content. Without your course I could never of passed the first time. I recommend it to anyone. Fast Forward has most definitely been an instrument to my being an Enrolled Agent. I passed all 3 parts in 1 take, proud to say. Thank you so much for providing me with amazing tools to pass the Enrolled Agent exam on the first try. The test bank builds confidence and knowledge that far surpasses the typical reading material one can find out there. I've taken the part 2 portion 3 times and and only passed after I followed Fast Forward Academy's system and paid attention to my momentum indicator. Once it was high I knew I was ready to take the test. Don't take short cut, use FFA as a resource to pass. Great information! Took Part 1 yesterday and passed. Your Exam Study Guide and Test Bank allowed me to focus on the essentials. By the way I took my first real EA exam today. I took Part 3 and passed. First try. Your materials were the only thing that used. Thanks. Passed all 3 on the first attempt! The study guide was well organized and the test bank really helped me to prepare for the exam. I was able to pass all three sections the first time! Thank you. I have passed part 1 & 2 on my first attempt. I am hoping to pass part 3 as soon as possible. Thank you for your resources as they obviously have been helpful. I took the 3 parts one week apart and passed all 3. The FastForward study guide and the test bank made it possible for me to pass the tests the first time. Thank you for creating such a great program. Just letting you guys know that I passed all three sections of the EA exam on the first attempt!!! Your system made a goal a reality!! I can't thank you enough!!! FastForwardAcademy Exam Course & Review Materials Course Book was very helpful in attaining my goal. And of course the Test Bank that I purchased was very valuable in taking this exam. Your exam study materials were so helpful, I have been preparing taxes for over 5 years and without those materials I would have failed each exam had I not prepared. I did pass them all on the first try. Your service is great and I have passed my first two thanks to your training and testing. I did pass all three parts on the first try. I will give Fast Forward full credit for my success. Thank your team a million. You did everything you said you would, plus more. I passed all three parts on the first try. Thank you for the great bank of questions and the easy to understand material. Thanks! I am thrilled! I passed all SEE tests on the first attempt. Thank You, FastForward! Your study material was right on the mark, and the ability to simulate the actual test with your practice exams helped put me over the top. Passed all three parts on first try - great preparation through your product. Painless process. I did pass all three exams starting just after Thanksgiving and ending December 28. 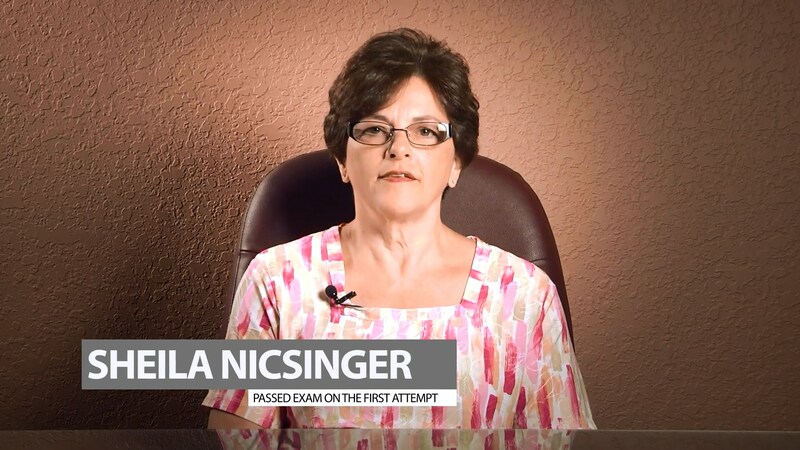 Even the local IRS liaison is surprised at accomplishing that in such record time. Thank you for producing such superior products and I will remember you when I start CPE credits. Thanks again. I received your study guide at the end of January and took all 3 exams last month. I passed all 3 on the 1st attempt. FFA is the best study guide and computer testing software out there. I passed all three parts of the Enrolled Agent Tests on the first try. I started in October and passed the third test in December. I am now waiting for my EA acceptance letter! Hi I purchased your EA materials and I passed the 3 sections within 1 month, it is great. Good Job. On several occasions as I tested, I remembered points made on questions in both the question and test bank, which triggered my memory and allowed me to pass all three parts the first time through!!! Thank you so much for the help. I was very pleased with the product and especially the pricing in comparison to competitors. I passed all 3 parts 3 days in a row first try. Hi, I just wanted to let you know that I passed all three parts of the Enrolled Agent Exam within a month. The online software was the biggest asset to me. I will be ordering the CPA books from your company as well and see where that takes me. I passed all 3 parts on first attempt. Your study material ,the test bank, and most importantly the practice exams is all you need to pass the test. I will recommend your program to all aspiring enrolled Agents. I completed the final exam last month and because of your system, I passed all three exams on the first attempt. In fact, I was so well prepared that I completed each exam in less than 1 hour. The Fast Forward system was worth the money and more. I can't thank you enough! 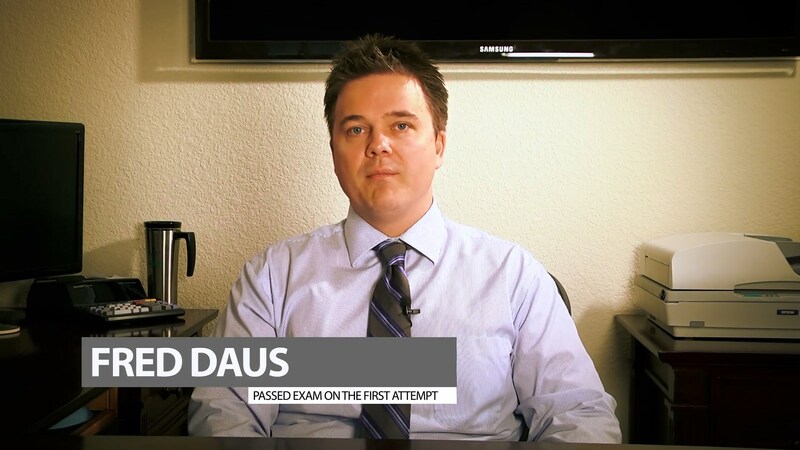 Your practice exam questions were very helpful in passing the EA exams. The content and format were wonderful. I recommend your site to anyone attempting the exams. Thank you. I have completed all three parts of the EA Exam prior to this date. I passed all three on the first attempt. Your material and online test bank and practice exams were very helpful in doing this. I would not have passed without it. Fast Forward Academy study guide was broken down and structured in an easy to understand way. It gave only the areas that would be on the exam. Plus with your online test bank and practice exams, it really solidified my understanding of the material I had read. I loved this course and the practice exams, they were so beneficial in instilling a level of confidence when I took the exams...Definitely worth the expense and the time spent. I was extremely happy with the education tools of the Fast Forward Academy. All three parts were taken and passed the 1st time. I highly recommend studying with the Fast Forward Academy!!!! I successfully passed all 3 parts of the EA exam on my first try thanks to your study guide and the test bank questions. I would highly recommend them! Thank you! The on-line test bank in addition to the enhanced test bank as well as the overall study-guide helped me to pass all 3 parts of the SEE exam on the first try while taking each part on three consecutive days... Great resources!!! Thanks Fast Forward. Just wanted to let you know that your test bank really helped me pass the EA. exam! I went through each question in the test bank for all 3 parts. I really believe your test bank was a major factor in passing the test. Thank you! I have passed all three exams the first time I took them. Your Test Bank and Practice Exams are just what I needed for the EA exam. Thank You so much! I passed all 3 parts on the first try. I was very pleased with the study material, online test bank and simulated exams. I would definitely recommend your program to others. In fact, I just signed up for 24 hours of CPE for this year. A "BIG Thank you" for providing the guidance and technical help in getting me pass all the parts in EA Exam in my first attempt. Terribly nervous for Part 2-Business but thanks to FastForward Academy for getting me ready. Thought I had failed but was ecstatic when I pressed the button for the results. Bravo. I passed all three SEE Exams on my first attempt and give high credit to the study program offered by FastForward Academy online. The structuring of the tests were an invaluable aid and I would encourage anyone to use this product. Passed Part one on Saturday. It was my first try! Hoping to ace the other two before tax season. Loved that the S.E.E. exam questions were very similar to your practice exams. Thank you so much for a concise study guide and great online questions! Thanks to that well constructed exam prep program FastForward Academy has. I passed Part 1 (Individual) for the EA designation. The 3 1/2 hour testing period started at 8 AM this Morning (Monday 24 June). I completed and exited in approximately 83 minutes. Thank you! I absolutely love it. You did a brilliant and fantastic job. I just love the fact that I can now quiz myself chapter by chapter. I just wanted to inform you that I have, in the past 3 weeks, taken all 3 parts of the EA exam. Using your online test bank and your book, I was able to pass ALL 3 the first time. Thank you. I am pleased to inform you that I have passed three parts of the EA exam, in one go in the middle of January 2011.I found that your book for the EA exam is very useful and the practice exams are good as well. Thanks a lot for your materials. This is the first CPE I have really done. I am on the first page, and am laughing out loud. LOVE IT!!! Kudos to your writers for making it engaging and entertaining!!!!! I can't tell you how thankful I am that I found you. The variety of questions and instant feedback as to why a question was answered the way it was, is phenomenal! I have referred so many to your website, I have lost count. It is because of you that I passed each section the first time. Thank you! Your material is well focused. Candidates just have to remember to commit a few hours a day/everyday to study and take the practice exams. It takes a commitment. In my opinion, your courses are the best on the market. Thank you very much for your great staff to help me to pass all 3 parts and I got my EA license yesterday...! I also registered cpe course too. Your program is fantastic! I passed all three parts on my first try. The practice exams were a great help and the study guide was clear and concise. I will recommend your program to everyone I know who is looking for to get their EA. Thank you for helping me pass all three parts of the EA exam in first try. Your materials went beyond the requirements of the exam and gave me lot of confidence before going for the exams. It was extremely helpful and worth the money. I passed all three parts on the first attempt. Filed form 23 on 1/8/2011 and waiting for the results. It took me a total of about 50 days from the time I received your book to complete all three exams. What a relief, it feels amazing to have it behind me. Thank you for all your help! THANKS TO FAST FORWARD ACADEMY I PASSED ALL 3 SEE TESTS ON THE FIRST SHOT!!!!! I STRONGLY RECOMMEND THIS PROGRAM TO ANYONE SEEKING TO ACHIEVE THE EA DESIGNATION. THANK YOU AGAIN AND KEEP ON OFFERING THESE AWESOME TOOLS!!! Yes, I have passed all 3 parts of the exam in my first attempt. Thank you for such a good study program! Thank you for providing such a wonderful study guide. I passed all three exams on the first try. What a great product. The extra explanation to every question is the way to utilize this product. I passed all 3 parts on my first try. Thanks Fastforward!! !